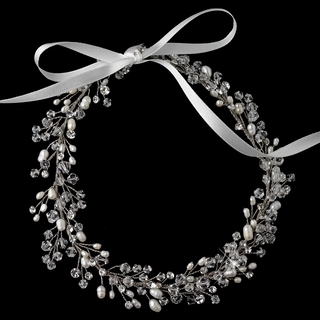 This stunning freshwater pearl and Swarovski crystal vine headband comes with attachable satin ribbons. This versatile accessory may be worn as a headpiece (with or without the ribbons) or as a belt. This headband measures 15" long by 1" wide.